This recipe is an example of the kind of dietary diversity that is important for any healthy diet. 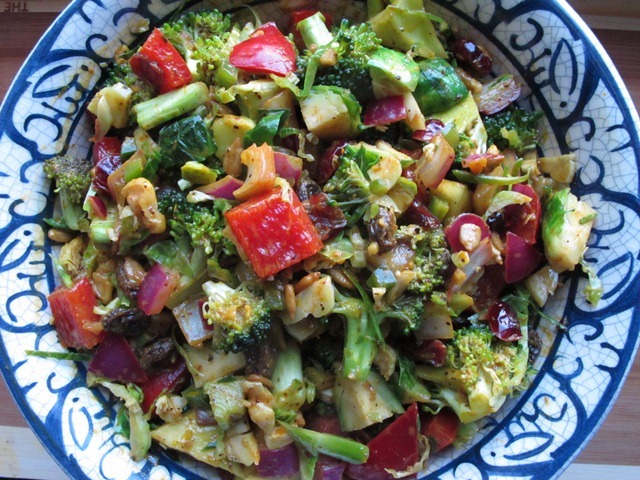 Add, subtract, or substitute ingredients freely in this highly adaptable salad, and as long as you include members of the Allium, Brassica, Capsicum, and Citrus (thus, “ABCs”) families, the results should both delight and richly nourish you. Note that these ingredients work synergistically to create a dish that’s healthier than the ingredients eaten separately. Black pepper magnifies turmeric’s powerful properties, the mustard and radishes boost broccoli’s benefits, and the nuts, seeds, and olive oil aid the absorption of fat-soluble nutrients.